I specialise in working with mumpreneurs, firstly because I am one and I know the struggle and secondly because I want them to win. Organising Mum is a new service which was developed following the work I have done with female entrepreneurs as a project management consultant. I found that many of their issues in business stemmed from feelings of guilt and concern about their personal life. To put it plainly, they were overwhelmed and unsure how to manage both. In order to help them in their business, it was necessary to help them in their personal life too. Some of the work included creating a routine that allowed them to spend time with their family on the important things. Helping them arrange childcare or recruit help in their home. Scheduling for the week, meals and homework etc. Whatever they needed to create balance in their lives. Once those things were more organised these women could focus better on their own needs and their business. Organising Mum’s is about giving you the tools you need and empowering you to achieve your Mum Goals! I’m a Mum and an entrepreneur; I get you want others to see you have it all worked out, but how is that working out for you? As mother’s we are usually the first contact point for our children, our partners, our own parents,our siblings, the school, the doctor and the list goes on. I can’t tell you how many times my children say “Mum” in one day and one of those children is actually a young man of 20 years now! 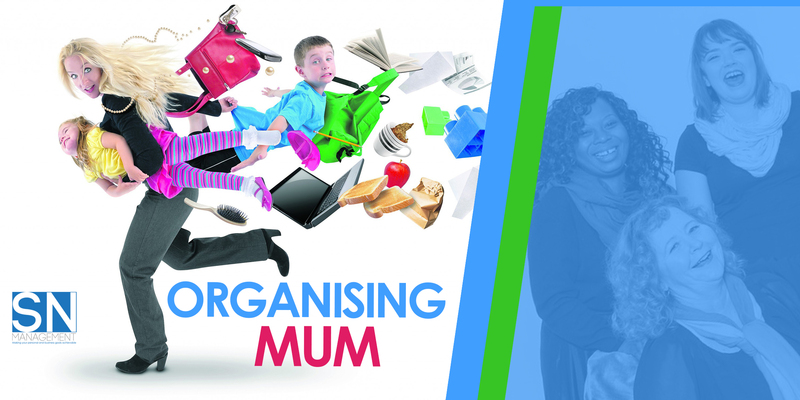 When I launched Organising Mum, it was because I became very aware of a need. Mother’s who are in need of support to help them get things into perspective. These mother’s are just like you, great mum’s, who are caring for their families, taking care of business, managing their professional life and showing up where it matters. However, this can be overwhelming; rushing around trying to get it all done, not sleeping well and always being on the go- if not physically, emotionally and mentally. It just doesn’t stop. We even need a holiday to take away the stress of booking the holiday! My business is Project Management Consultancy, I offer personal and business management. I practically support and manage other people and their business. I have seen it all. They turn up and tell you all the great stuff they’re doing and you start to wonder why are you meeting with me then?! And then, you ask the right question and it all starts to unravel and this is where having the right support is crucial. Along the way, I have also met, spoken and delivered workshops for mum’s in various capacities and I realised they had similar issues to the entrepreneurs I support every day and of course I wanted to help them too. First we visualise your dream, get it all out of you and into a format that makes is visual and believable. Then, we look at where you are now, what’s happening for you, where are your blocks, whats working well and what’s not. I take the information and break it down into a step by step action plan to get you to where you need to be. From that, I can get a clear picture of what needs to be done to help you achieve your goals. And if you really want to, I can continue to work with you to make sure you take action, keep you accountable and support you through it all. Well, you’ll be surprised. Left to your own devices you could probably do all of this yourself, if you didn’t have to cook, clean, do laundry, school runs, caring, shopping, gym, afterschool activities, WORK and all the other stuff you do. Following your initial sessions we will be happy to provide any continued support you may need. Additional support, tips and accountability will be available via our private facebook group. Ideally, each session will be for 2 hours. We want to make sure you get the maximum benefit. It costs £150 for 3 sessions. Each session is 2 hours. So, let us help you, get a few steps closer to where you want to be and reduce the guilt that comes from wanting to be the best, doing your best and not always quite doing it all and also get rid of the overwhelm of worrying about how you will get it all done. You invest time and energy in your role as a mum, isn’t it time you invested in you? Why not try it and see if it works for you. The first session has been discounted to £20. If you like you can invite your friends over and make a night of it. Each of you will pay the same discounted rate. We’ll work on visioning and you can get an idea of how the whole process works. Contact me at: mum@snmanagement.co.uk and get your discounted taster session booked in now. Take action and achieve your Mum Goals!